There’s a lot of discussion about minimum wage in Oklahoma this year. As a business owner, you should stay on top of the topic. Not only is it important to stay compliant with the Fair Labor Standards Act (FLSA), but also staying up to date with minimum wage changes helps you plan your business’s future accordingly. We’ve created a guide, just for you, to get a better understanding of what’s happening with the minimum wage rate in Oklahoma. What is the minimum wage in Oklahoma? At this time, the minimum wage rate in Oklahoma is $7.25 per hour, which is the same as the federal minimum wage rate. Oklahoma hasn’t seen an increase in its minimum wage since 2008. That year, the rate went from $6.55 to $7.25, an increase of $0.70. Employers are allowed to take a tip credit of up to $5.12. Tipped employees must be paid a minimum of $2.13 per hour. Employees under the age of 20 can be paid $4.25 per hour for the first 90 days. Part-time employees who are full-time high school or college students may be paid $6.16 per hour for certain jobs. There is also an exception for employees who are considered exempt under the Fair Labor Standards Act (FLSA). Lastly, federal contractor employees must be paid a minimum wage of $10.60 per hour. Will the minimum wage change in 2019? There are no plans to change the minimum wage rate in Oklahoma this year. Are there plans to change the minimum wage beyond 2019? Oklahoma uses the Consumer Price Index to evaluate inflation rates and whether the state’s minimum wage should increase or stay the same. This evaluation is supposed to occur every year. The state hasn’t changed its minimum wage rate since 2008. This year, though, there is conversation about increasing the minimum wage rate in Oklahoma for 2020. A new Senate bill is calling for the rate to jump from $7.25 per hour to $10.50 per hour. 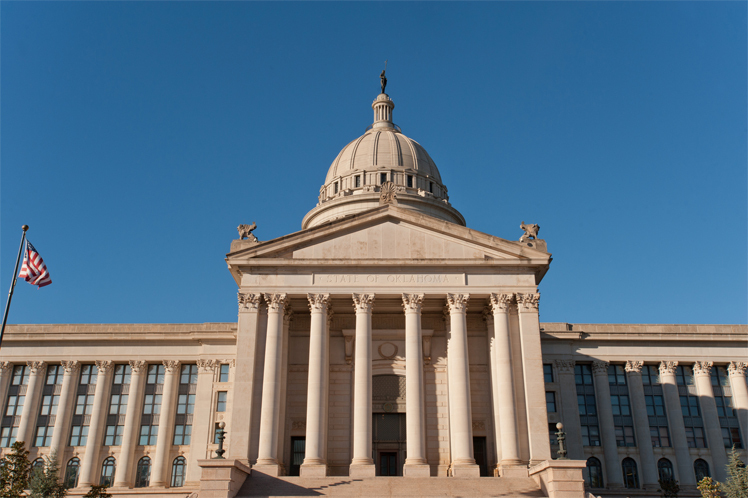 The bill will be discussed during Oklahoma’s 2019 legislative session. If it passes, the new minimum wage rate of $10.50 will go into effect on January 1, 2020. How should small business owners prepare for changes to the minimum wage? You don’t have to be on the short end of the stick as an employer when the minimum wage rate increases in Oklahoma. Here are some tips to help you prepare for a change in Oklahoma’s minimum wage. Audit your expenses: The best way to prepare for a state increase in minimum wage rates is to take a full look at your business expenses. Is there any given area where you can cut expenses? Increase prices: Maybe you need to bring in more cash flow to keep up with the increasing wages of your employees. Take a look at the price trends for the products you’re selling, and determine whether you can reasonably raise prices. Remember, you don’t want to disappoint your customers with an unreasonable price hike. Update your technology: Having new technology can help you save time and money. By updating how you manage payroll, you’ll get some time back and be able to focus more on running your business than doing paperwork.